Join us for an educator workshop. 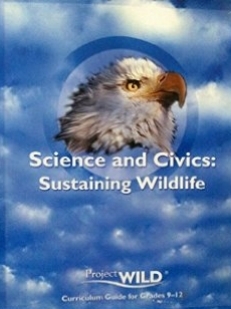 Project WILD's curriculum, Science and Civics: Sustaining Wildlife, is designed to serve as a guide for involving students in grades 9-12 in environmental action projects that benefit local wildlife. It involves young people in decisions affecting people, wildlife, and their shared habitat in the community. Registration includes an activity and resource guide, snacks, and a tour of the head of the San Antonio River. Registration fee is $20. The program awards 2 CEUs. For additional information and to register by phone, please call 210-828-2224 x 232.